Get your FREE PATTERN and see how to make these cute and easy kids pants plus XmasTree applique. Get your FREE PATTERN and see how to make these cute and easy kids pants. Go to the Shop and look in the ‘Free Patterns’ shop section — Play Pants Free Pattern or click here Free Pattern — just add the pattern to the cart and ‘buy’ it for free. Then view the sewing tutorial here to see how to sew the pants. When you get your free pattern please leave a Comment in the box at the end of the sewing tutorial. The Play Pants pattern is a basic pant pattern with a patch pocket in sizes to fit kids from 1 to 10 years old. The pattern includes a simple easy to make Christmas tree appliqué to use on a T shirt or skirt. The pattern is suitable for boys and girls and is ideal for pyjama pants. The basic pattern can be altered to have a cuff or ruffle on the hem. The length can also be adjusted to shorts or 3/4 length pants. This is a very easy pattern, great for beginners. The T shirt pattern is not included as a free pattern but can be purchased from Felicity Sewing Patterns website shop at the discounted price of US $4.00. FABRIC: This depends on the finished use of the pants; pyjamas require soft, lightweight cottons or minimal stretch knits e.g. lawn, poplin, flannel or interlock. For day wear any light to medium weight wovens or knits e.g. homespun, drill, pin-wale corduroy and fleecy. Check the fabric chart for the amount of fabric and elastic required. The fabric lengths are based on 112cm/45″ standard fabric width. Lengths are given for the main with contrast option as shown in the tutorial and also for the basic unaltered pant in one fabric only. The elastic is 22 – 25mm or 3/4″ – 1″ wide x the length given on the chart. Matching sewing thread. You can add extra trims e.g. lace, braid or piping. 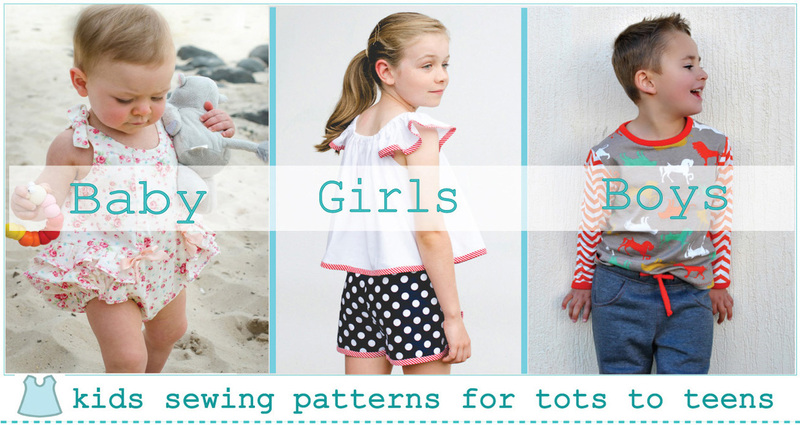 SIZING: Patterns sizes = 1, 2, 3, 4, 6, 8, 10 to fit kids 1 to 10 years approx. Check the size chart to select the best size for your child based on their height and waist measurements. The leg length can be easily adjusted if necessary. 1/ Print out the pattern pages and glue them together – see the Printing Instructions and Guide to Assembling the Pattern Pages included with the pattern file. Trace out a paper pattern for the size you want following the colour code. You can do this by tracing with a tracing wheel onto plain paper or using see-through baking paper and trace with a pencil. I think it’s easier to use a tracing wheel so invest in one of these. Tracing the pattern out means you can keep the master pattern intact for future use. Please note that all cutting out instructions, seam and hem allowances and grain lines are marked on the pattern. It’s very important to get the grain straight when cutting long pants; the best way to get the perfect straight grain is to fold the pattern in half placing the hem edge perfectly square and equal and then press a cease in along the full length of the leg to get the grain line then mark with a pen and ruler. Rule a line for the hem turnings and the waist turning these are both 4cm/11/2” wide. Don’t forget the pocket pattern. Now the basic pattern is ready to use. I am using the contrast print for the cuffs and pockets. The size 2 just fits nicely into the folded fabric width. If you are using a one-way-up print the patterns must be cut the same way up. The fronts and backs have to be cut paired or mirrored. Refer to the original pattern printout for cutting instructions, grain lines and seam allowance details marked on the pattern. Make the pockets: overlock around the edges. Fold the pocket hem to the outside and sew down at the sides. Turn to the inside, press the seam allowance under all around and sew the pocket hem down. All seam allowances are 1cm/3/8″. Make the Pants: sew the side seams together, overlock and press. Press the waist casing under so you can see how wide the waist band will be. Place the pockets on the front at least 6 cm below the finished top edge at the side seam position and about 1cm in from the side seam, pin and sew in place. The pocket position will vary with the size so just make sure it looks balanced. 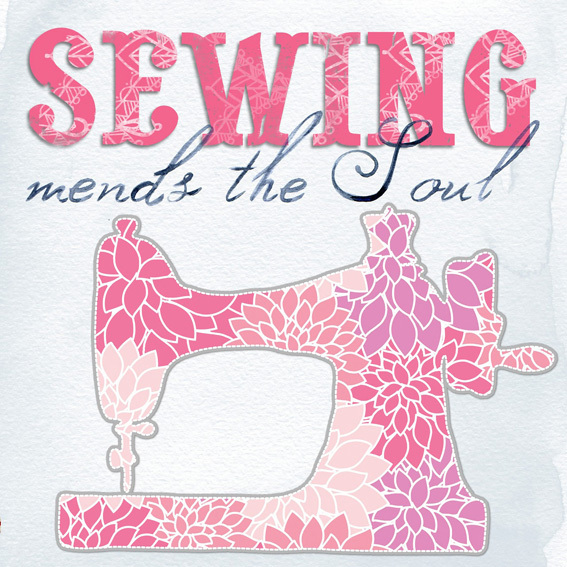 Sew the centre front and centre back seams, overlock and press. Sew the inside leg seams together matching at the crotch seam, overlock and press. Pockets stitched on and seams all sewn together. Attach the cuffs: press each cuff in half lengthways, then check that the cuff and leg measure exactly the same and make any necessary adjustments. Sew the cuff seam and press open. Fold the cuff in half again and pin to the right side of the leg with the cuff seam at the inside leg seam. Sew in place, overlock and press. On the outside sew a row of topstitching along the seam to hold the seam flat on the underside. Make the waist casing: The total width of the casing allowance is 4cm/11/2”. For a neat finish press the edge of the casing under 1cm/3/8” and turn casing under along the finished edge line [you pressed this under earlier]. Sew the casing down and sew a row of stitching along the top edge to give a neater finish after the elastic is inserted. Use a seam ripper to open the centre back seam into the casing and insert the elastic here. Securely stitch the elastic ends and distribute the fullness evenly around the waist. To stop the elastic rolling stitch across the casing through the elastic at the centre front seam. FINISHED! Here is a simple easy appliqué that can be used on a T shirt front or on a skirt. I am making a T shirt top to go with my Play Pants so I will apply the appliqué directly to the front of the shirt before I stitch it together. However if you want to add the appliqué to an existing shirt you can construct it onto a square of fabric making it easier to simply sew the square to the front of the shirt. The appliqué comes in two sizes and the template is included in the Play Pants pattern file. Fabric scraps, iron-on appliqué backing, sewing thread plus you can add extra trimmings e.g. beads, buttons or glitter. Pinking shears if you already have them are best for cutting out the shapes but not essential. I am going to machine stitch my appliqué but if you are an experienced crafter you might prefer to hand sew everything. Print out the templates and carefully cut them out, use them to cut out pieces of fabric slightly larger than the shape of the template. Next cut a piece of iron-on backing for each shape and iron this onto the back of the fabric shapes; make sure to use a light pressing cloth or some tissue paper to protect the iron and ironing board. Now each shape will have a paper surface on the back. Use the templates and draw the shapes onto the paper backing, cut them out carefully with sharp scissors or pinking shears. If you are hand sewing it’s best to cut with plain scissors. Carefully peel the paper backing off and layout the design overlapping each piece a small amount [about 6mm/¼”]; line everything up as though you are following a centre line so you have tree trunk, bottom layer, middle layer, top layer and star. It’s best to do this on the ironing board so there’s no need to move once it’s set in place. When you are happy with the way it looks press it on firmly. Now sew around all the edges; use a plain stitch if the edges are pinked or a zigzag if they are plain. To keep it neat stitch each section separately changing thread colour if necessary. Pull the thread ends through to the underside and tie off. Makes a cute set of Christmas night pyjamas. Author felicitysewingpatternsblogPosted on March 8, 2017 June 11, 2017 Categories Free Pattern TutorialsTags baby pants pattern, children's pants sewing pattern, free kids pants sewing pattern, Free sewing patternLeave a comment on Sewing Tutorial for the Play Pants free pattern with bonus Christmas tree applique.